Thanksgiving is all about “giving thanks” for all we have. So, it’s no surprise this festive holiday is one of the best times to help those in need. 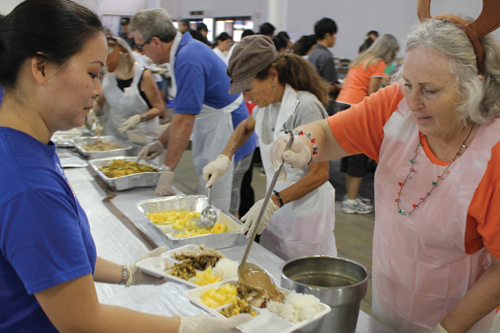 In fact, every year, Thanksgiving in Hawaii is a time when hundreds of volunteers prepare meals, donate food, and give back to those who need a little help. 1. Paddle for Hunger: If you’re visiting Maui over Thanksgiving, grab your paddle and head to Kihei. For years now, Paddle for Hunger participants have been gathering together on Thanksgiving day morning to celebrate the aloha in Maui’s paddling community. You can bring food, donations and burn off some calories before putting them back on. This year Hawaiian Paddle Sports is taking their lead and picking up the torch and hoping to raise a record amount of food and funds for those in need on Maui this holiday season. The race is free and open to the public. Participants are encouraged to bring a non perishable food item and/or donation for Maui Food Bank, sliding scale based on your ability. Registration is at 7 a.m. at the Kihei Canoe Club, and the race starts at 8 a.m. Location is at the Ka Lae Pohaku Beach Park. Volunteers gather every year at Thanksgiving to feed families in need in Honolulu. 2. Meet and Eat Annual Thanksgiving Dinner: The Kona Task Force on Feeding the Hungry is hosting the 22nd Annual Meet and Eat Thanksgiving Dinner, Wednesday Nov. 25. The public is invited to a traditional Thanksgiving meal at the Kealakehe Intermediate School Cafeteria on Onipaa Street from 5:15-7 pm. The event is free, but organizers are asking those who come to donate a bag of rice and/or volunteer to help with the meal. Those wishing to volunteer or contribute can contact Ardie Ikeda at 987-1664. 4. 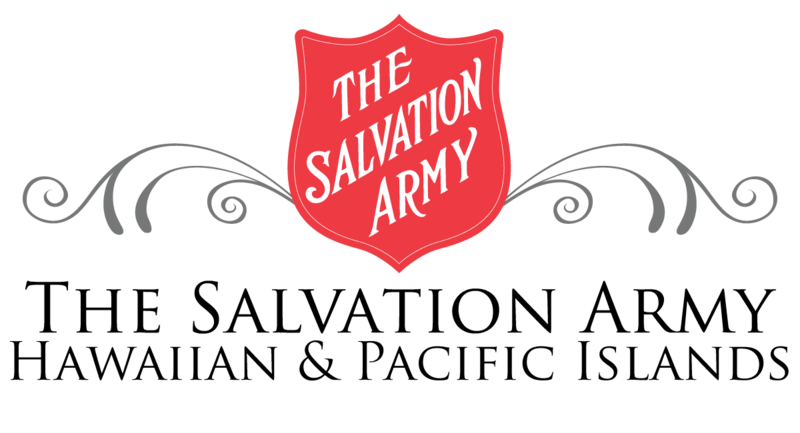 Salvation Army Hawaii: Each year, The Salvation Army feeds a complete Thanksgiving meal to approximately 2,000 attendees at Blaisdell Center in Honolulu. Local hoteliers and restaurants help provide the food and nearly 900 volunteers support the effort. The Salvation Army 45th Annual Thanksgiving Dinner will be held on Thanksgiving Day, November 26 from 11 a.m. to 1 p.m. at the Neal S. Blaisdell Exhibition Hall. Click here to find out how you can volunteer for this event. This year, the Salvation Army will feed about 2,000 people on Thanksgiving Day. 5. Ko Olina Thanksgiving Outreach: The Ko Olina Family will gather to prepare and deliver Thanksgiving meals to over 14 area churches and veterans organizations on the leeward coast on Saturday, November 21, 2015. Every year, more than 100 resort employees and residents join congregations from Waianae, Maili, Nanakuli, Kapolei, Ewa Beach, Waipahu and Pearl City to assemble and serve over 4,000 Thanksgiving meals to the homeless and needy in the community. Holiday meals include traditional fixings like turkey and gravy, potatoes, stuffing, pie and more. With a modest beginning 17 years ago, this annual community event is now considered the largest holiday outreach on Oahu. You can donate to the cause at http://www.koolina.com/events/thanksgiving-outreach. Of course, the best way to find a local volunteer opportunity is to learn which of these events is happening near your hotel. When you book your Hawaii vacation through Hawaii Aloha Travel, just ask your travel professional how best to organize transportation from your hotel to the volunteer opportunity you choose. If you’re in the islands over Thanksgiving, you have a lot to be thankful for! So, consider spreading some aloha this year when you visit Hawaii.